…….that Christmas Shopping!” Nobody’s waiting for Black Friday this year – Aunt Geri here, and we’re headed to Ye Olde Yuletide Bazaar holiday festival with our wares this Saturday in Parker. We have something for just about everyone – including the new “hybrid” family of alpaca bears! 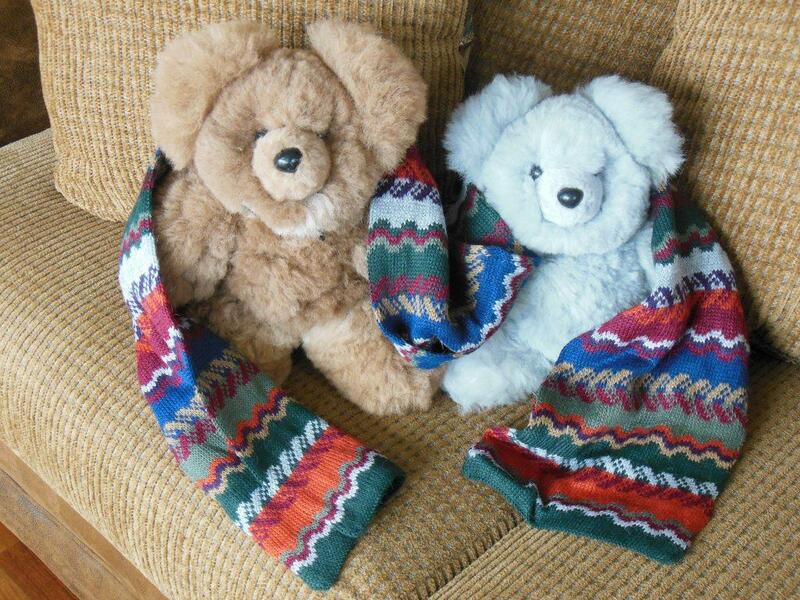 Today’s blog post items are made of an “oh-so-soft” alpaca yarn that’s a big hit. I actually made one of these hats with some, let’s just call them mistakes, and I wear it due to it’s “condition”! I can’t go anywhere wearing it without getting complements, so I decided we could offer more of them to you! 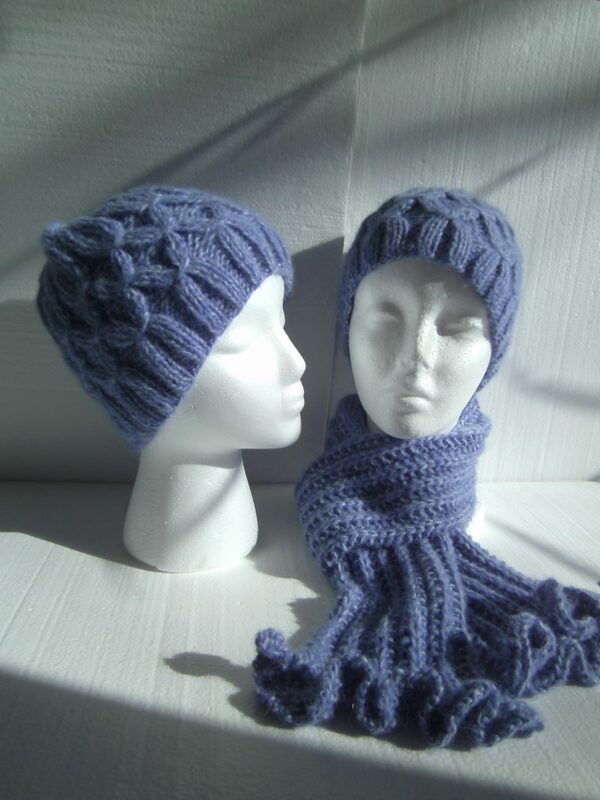 We have a hat and scarf set and a solo hat in this beautiful periwinkle color. Because my hat’s so popular, I’m making similar hats in the same yarn with different colors. This entry was posted in business, fiber art and tagged alpaca, Black Friday, Christmas gifts, craft show, hats, Olde Yuletide Bazaar, Parker. Bookmark the permalink.